Catching up…at 88 miles per hour!!! This is going to be a quick and rapid catch up as I can only use the ‘Wayback Machine’ for a short time. With all the training that I was doing for my July half iron distance triathlon I let the blog updates sit on the back burner for a while. Something about the 3am wake ups and two a day work outs that finished around 9pm made me avoid logging on late at night. Strap in tight…this is going to be a very quick update. This was by far the biggest month of training for my half iron distance triathlon. I logged 398 miles (107 running/279 cycling/12 swimming). 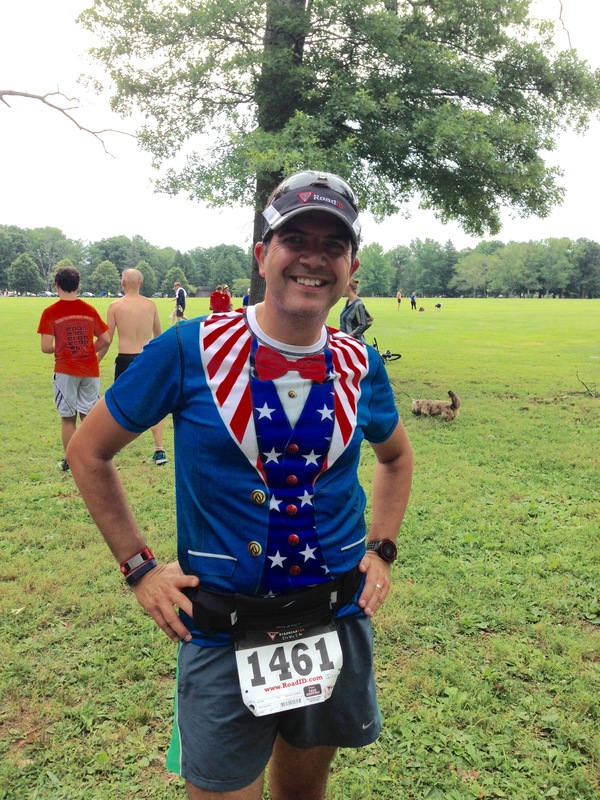 Back in early June I ran in the Freedom Mortgage 5K. I was right in the middle of my triathlon training so I was feeling fit. Given that I had run this event well last year I was looking forward to returning. 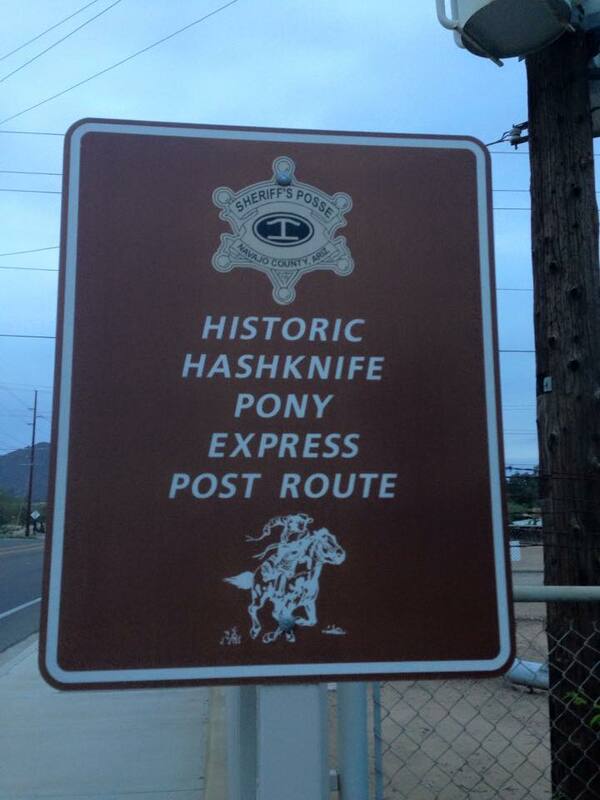 Also, this is the event that my wife was the race director for. As was the case last year I came down with the boys and my father in law. The race course was certified this year (it was long last year). I ran hard and ended up running the exact time as my previous 5K PR (from back in 2012). I was really pleased. I placed 1st in my age group and 15th overall. I earned my donuts that day. We made it a family affair again this year. At the end of the month my wife finally convinced me to participate in The Color Run. I have been hesitant to participate in these races although my wife has run the past few years. I only agreed to do this as we were going to run as a family. At the end of the day it was a fun time and my kids had a blast…until we got home and we had to scrub them clean in the shower. June was a really intense training month for the triathlon and I was more than happy to start my taper at the end of the month. The above calendar tells quite a story. In the end I logged 157 miles for the month (32 running/121 cycling/4 swimming). July was my big event month. I had been training hard for the Rev3 Williamsburg triathlon and was looking forward to having the whole family down with me in Williamsburg for the weekend. As you can read here, the race didn’t really turn out as planned but it definitely was a memorable experience. The rest of the month was pretty much me being sidelined. I ended up having to cancel my race entry to this year’s New Jersey State Triathlon. I had to rest my body as best I could. I tried running late in the month but I was a little too ambitious. I had to dial it back. However, I found a good compromise by using a sling and slowing my pace down…. a lot!!! Albeit very slowly, I logged 143 miles this month. Running only. It will be a while before I’m back in the pool and I’m staying away from the bike for now. 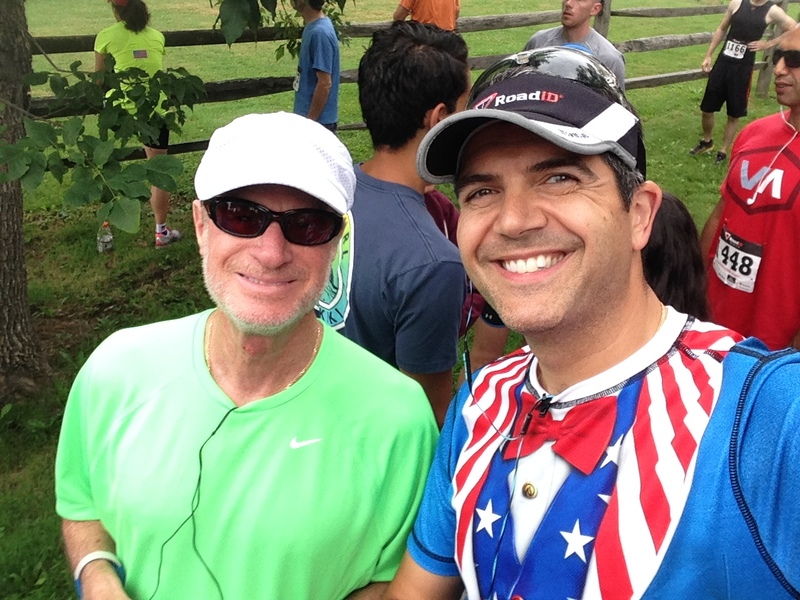 My actual training plan for this year’s Philadelphia Marathon began in the last week of July. By August I was just getting into the early stages of the plan and struggling a bit with pace. I would still be wearing my sling and by the end of each run I would be hot and tired due to the heat and humidity. I still gutted it out though. We had our family vacation in Myrtle Beach, SC during the third week of August. 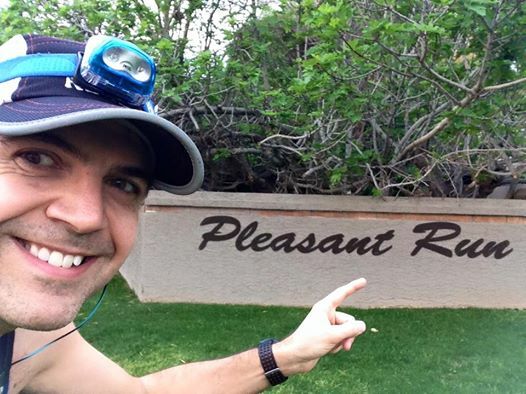 I was up early to beat the heat every day (not that you could really escape it) and despite my lack of pace I was able to pretty much stay on my training plan. By the end of the month I was running without the sling. Taking it easy still but getting back to form. 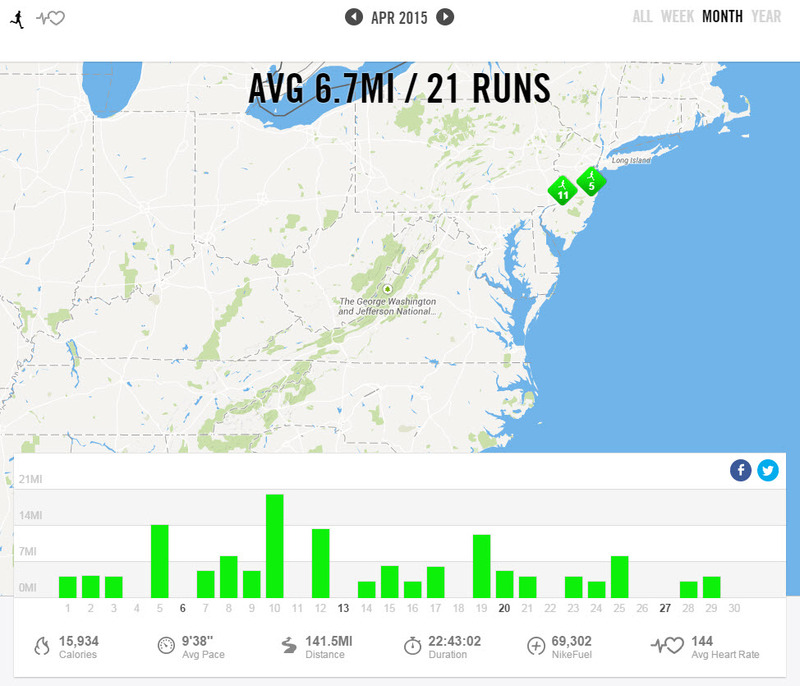 This month I logged 182 miles of running. September primarily consisted of buckling down to marathon training. I had chosen Hal Higdon’s Intermediate II training plan which is slightly higher mileage than the Intermediate I which I have mostly used. I thought following all the triathlon training I would be in a better position to do the higher intensity training. I hadn’t planned on my accident back in July and so hadn’t gone back to update my annual training plan. I figured I could do a couple of extra miles here or there. My mid-week runs are higher than on the Intermediate I plan and coming up in October I will be doing three 20 mile runs vs two which would be my usual training for a marathon. September therefore had pretty high mileage. It was a very warm month with no break in the weather that one would expect for early fall so my pace was slower than would normally be. 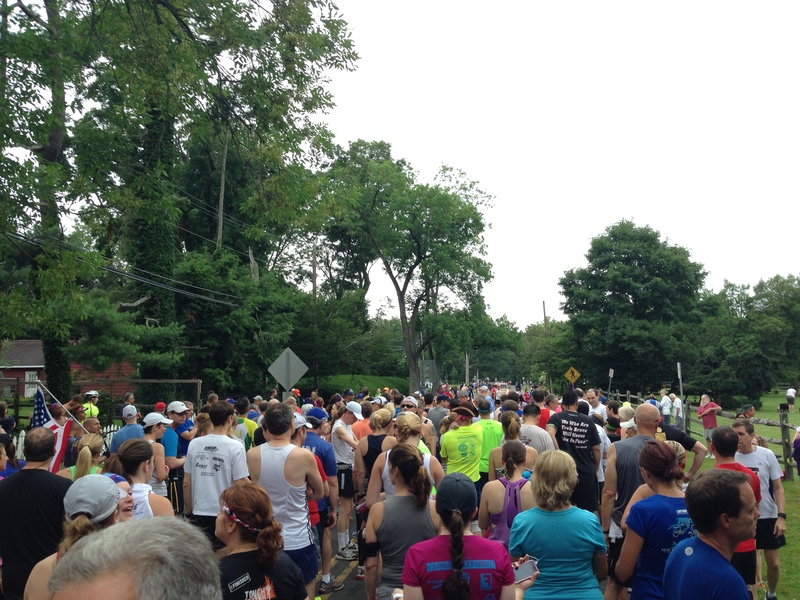 During the month my wife and I participated in the Philadelphia Rock ‘n’ Roll Half Marathon. This year however we didn’t immediately sign up for the 2018 race so we shall see if this will be on our plan for next year. This was the big month of training as I get ready for the 2017 Philadelphia Marathon. 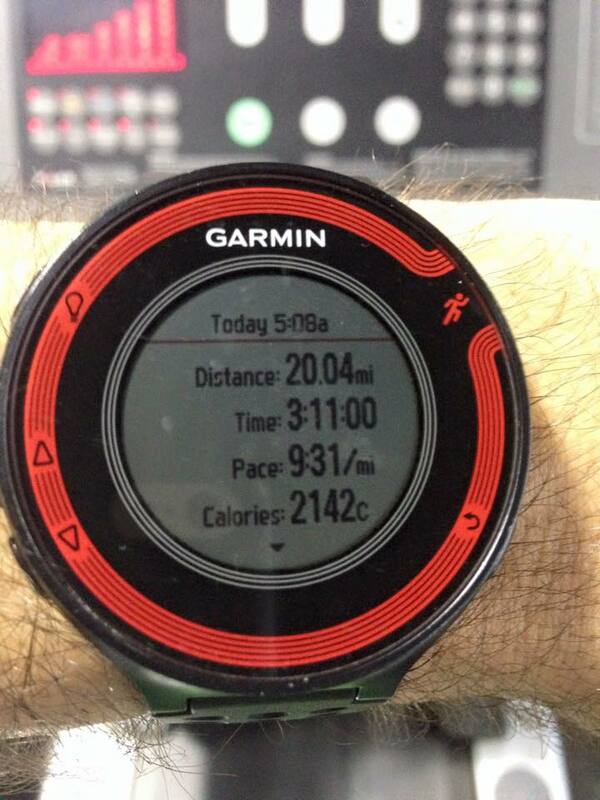 I logged 203 miles of running. I spent a lot of time on my feet running around. 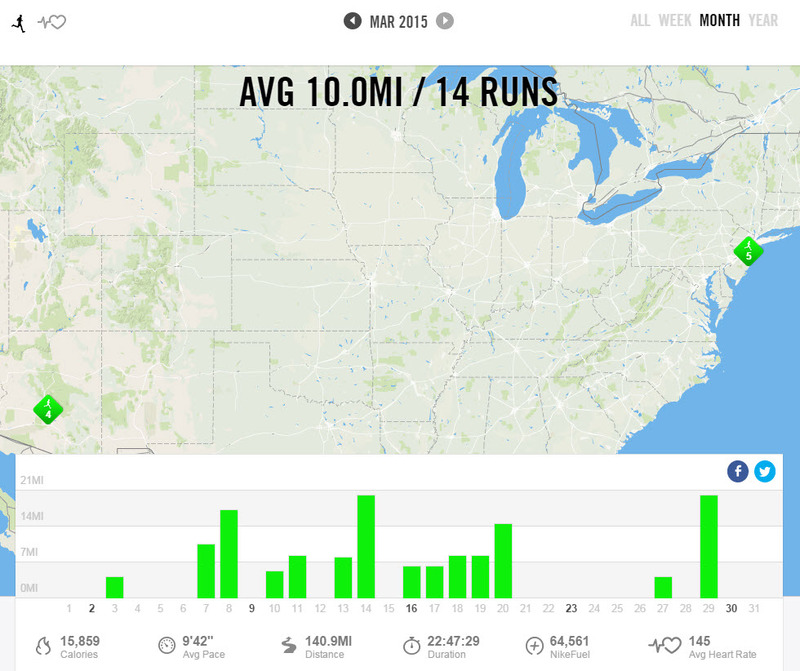 This month included the three 20 mile runs I mentioned earlier with three 50 mile weeks out of the month. I didn’t have much time to sit back and relax but all in all I was glad to get through the month uninjured and ready for the taper. One change that occurred this month was that I finally changed out of my regular shoe after 6 years in the same type (Brooks Adrenalines – I’d worn models GTS 11 through GTS 17). I had been struggling a while in this shoe and the last two iterations (the GTS 16 and 17) just didn’t have the same fit and feel. However it takes a leap of faith sometimes to try something new. I read a review about the updated Saucony Omni 16 and decided to give it a go. I took them out on a 5 mile run and they felt fine. I was already experiencing difficulty in the Brooks shoe and to some extent my feet were feeling some pain points at the end of runs. On the day of my second 20 miler of the month I had run about a half mile before I had to turn around and go home. There was pain on the top of my foot from the Brooks overlays. I took a risk and ran in the Saucony’s after only wearing them for 5 miles the day before. They came through the challenge as did I. The shoe profile is slightly different (there is a lower drop in the Saucony vs the Brooks) but the stability was there when I needed it. Needless to say I return the two unopened boxes of Brooks and replaced them with the Saucony’s. Fingers crossed this is the right move for me. So far so good. I ran the rest of the month in them including the third and final 20 miler. 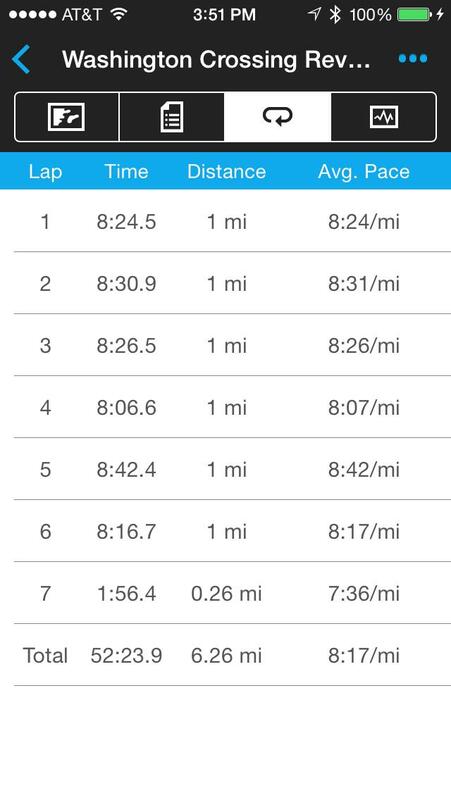 My Nike + Summary shows 121 miles. There was no cycling or swimming this month. Not sure why but probably because of travel, weather and general fatigue and no races I took it rather easy. Still, managed to knock out 121 miles. We had just returned from our Florida trip when I had to fly out to Arizona. I think the drive time from Florida to Pennsylvania and the transcontinental flying finally caught up with me combined with the change in temperatures (winter finally arrived) sending me to my basement treadmill for my runs. With the weather forcing me indoors I actually have the opportunity to try transitioning to Altra Zero Drop shoes. I would have liked to try this previously but there is a 3-6 week adpating period where you wear the shoes progressively more and more each run but switch back to your regular shoes mid-run. Generally when I am running outdoors I am not looking to carry a spare pair of shoes everywhere with me. Indoors at least I can put the shoes next to the treadmill and easily switch mid-run. We shall see how this goes. I am trying to transition from my Brooks Adrenaline GTS shoe with a 12mm drop (from heel to toe) to the Altra Provision shoe with a 0mm drop. It will take time I’m sure and I will probably have a few strange aches and pains during transition. We shall see how this works out. So far I’ve managed to get up to 6 miles. A way to go if I’m going to be into these shoes before the New Jersey Marathon on May 1st. The key is to getting to the start line injury free. If it isn’t working out I’ll be running in the Adrenalines. Oh, I almost forgot, I registered again for the Rutgers UNITE Half Marathon. It fits nicely into my training plan and it was a nice race for me last year. Both my wife and I are in training for the New Jersey Marathon on May 1st. The weather has driven us both to the treadmill unfortunately. Looking forward to getting out whenever we can but making sure to be sensible and safe. No point in running in the cold and icy conditions if we don’t really have to. Better to be safe inside. The conditions in May will not be replicated in January that’s for sure. We had the first big snow of the year…and it was big. On top of my long run that day (11 miles on the treadmill) I was outside shoveling snow for over 4 hours. Quite a workout but I prefer swimming and biking as my cross training!!! My youngest in the snow. Reminiscent of the planet Hoth…I think he is looking for his tauntaun. I hit another personal milestone this month as I made it past the 8,000 mile mark since I started recording my workouts back in September 2010. I’d been running about 5-6 weeks using a ‘Couch to 5K’ program before I started logging my activities so this is pretty much from the beginning. So now I’m onto the next milestone. In that time I’ve completed 19 half marathons and 14 full marathons and countless other events. I’m feeling pretty proud of how far I’ve come. I think this is also going to be a big year for me and January was a good start to 2016’s adventures. 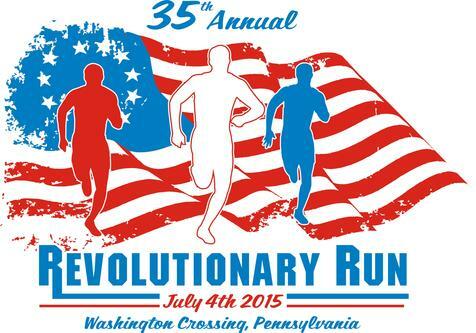 On July 4th this year I signed up on the day and took part in the Washington’s Crossing Revolutionary Run 10K. This was quite a change for me as I usually don’t do many races last minute. I’m quite the planner when it comes to my race activities (see here). 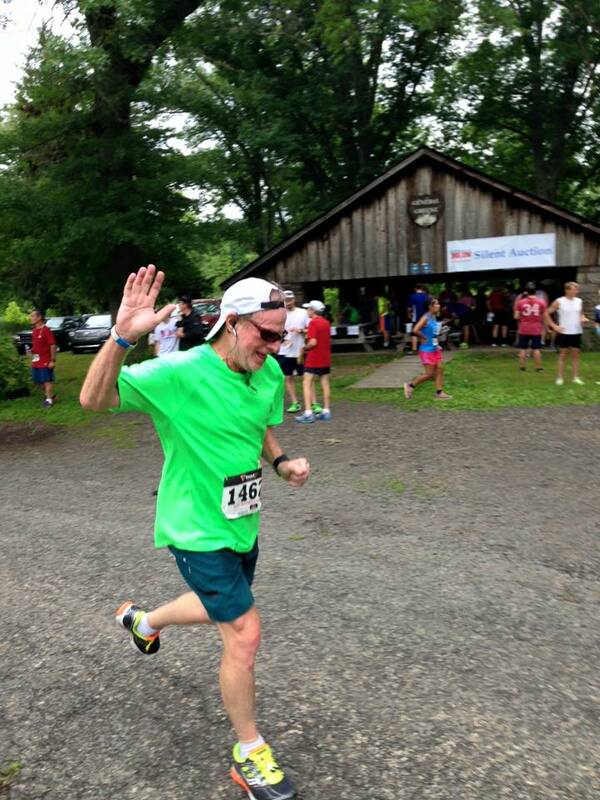 This is also the location where I did the Bucks County Duathlon and the ‘Chasing The Unicorn’ Marathon. On the day before the race I saw a message from a friend and Mickey Milers teammate saying he would be in the area for the weekend and was looking to see if anyone was interested in running this race. For the last few years we have always been away for the holiday weekend and in the years prior to that I wasn’t a runner so this race was never on my radar. So, my wife gave me the ok and I was all set to go. I mentioned it to my father in law at dinner the night before the race and he said he was interested in joining me. Ultimately my friend had a very long day in New York City and decided that he wasn’t going to be there so my father in law planned to go if the weather cooperated in the morning. The race start was 8:30 am and was a 20 minute ride from my house so I got to sleep in a little. Hey, it was a holiday weekend. The rain early in the morning stopped around 6am and we decided to make a go of it. We arrived early enough to register and saw that there were plenty of same day participants. 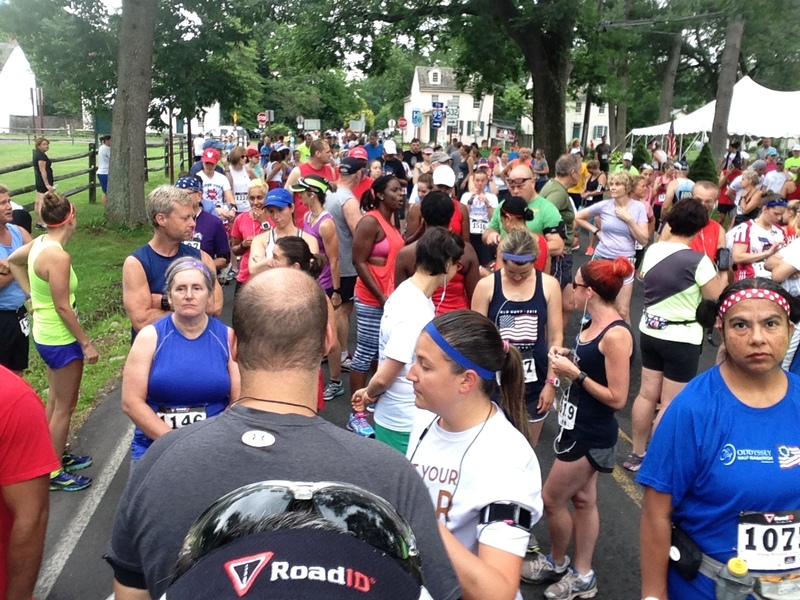 The parking was down the street from the start/finish area in Washington Crossing Historic Park but was easily walkable. It was a much more crowded event than I had anticipated. 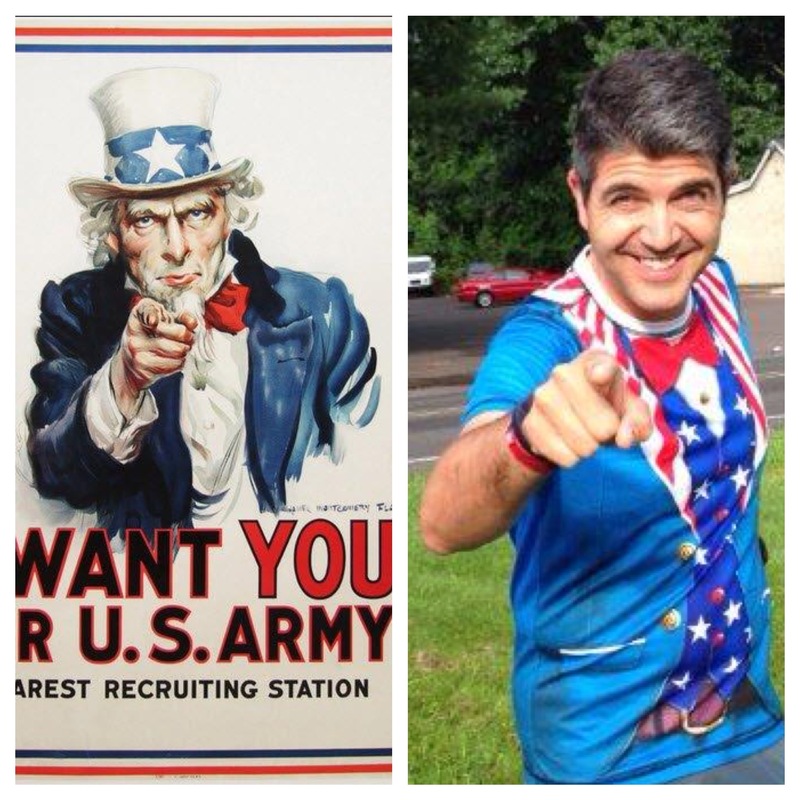 Uncle Sam…or Sam I Am? There were 3 races, a 1 mile fun run, a 5K and a 10K. All were timed at separate intervals of 15 minutes between each start so we had time as the earlier races moved to their designated points. We didn’t see the 1 mile fun run go off but we headed to our designated starting line (the one spray painted on the road outside the park) and waited in the corral/crowd with everyone else. The course itself took a small loop inside the park and then there was an out and back for about 5 miles on River Road (Pennsylvania side) which was closed off for the occassion follwed by another half mile loop around through the park to the finish line. It was a fairly flat course with the only elevation towards the turnaround. There were adequate water stations on the course which was good for it is was a hot and humid morning. For the 10K I wore my daily use water belt so I didn’t really have to stop as I had an 8 ounce bottle with me. As I wasn’t really planning to run this event I had no expectations on time or any planned pace but I just went out and ran how I felt. Since I’ve been experiencing a back issue for the last couple of months (in fact I had already visited the chiropractor twice in the last three days) I wasn’t sure what I would feel like. Well, I guess I just got all caught up in the excitement of it all. It was very crowded at the start so I skipped my usual Galloway run/walk interval but settled in soon after that and managed to hold a good pace. As the course was relatively flat it was nice and easy to maintain my pace. We ran in the shade of the trees alongside the river (although it was overcast) but it was still a hot and humid day. I managed to complete my 10K in a time of 52:34. Not close to my PR from a couple of years ago (I don’t run many 10K’s) but respectable enough for me based upon my recent form. After the finish. 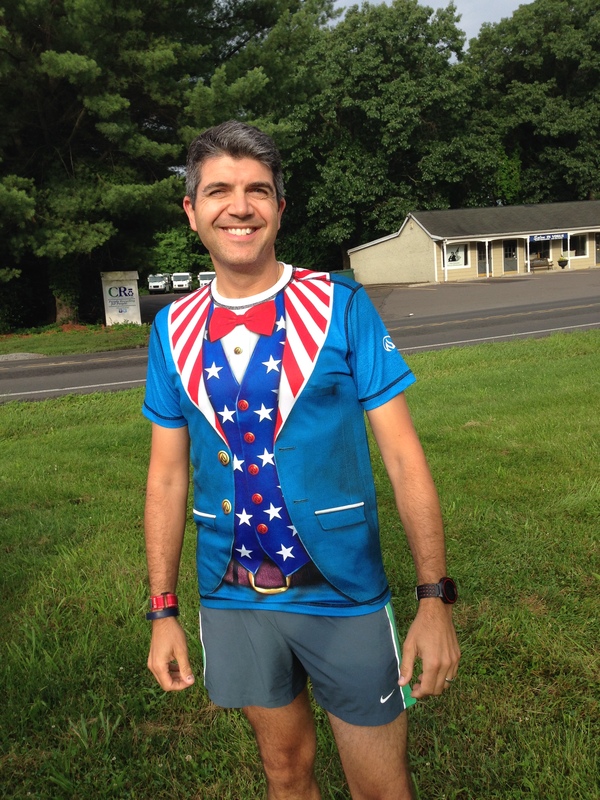 The shirt was a hit with the spectators. My father in law came in just after the hour mark and he seemed happy too, especially as it had suddenly become much warmer towards the end of the race. I was pretty happy with the result and pretty happy with the slices of fresh watermelon at the finish. It was a sweet reward for a last minute race. After that we headed back home and spent the rest of the holiday with the family at the pool before catching some fireworks later in the day. Hope you all had a very good 4th July holiday wherever and however you celebrated. 148 miles this month. Also a little late in posting but better late than never. I think at this point we can all agree that spring finally arrived. There were a couple of days where I may have taken my run indoors to the treadmill but that is because I couldn’t get my head around pulling out my winter clothes again. It wasn’t going to happen. April…it’s spring enough for me. April was the peak of the training for the Pittsburgh Marathon and the start of the taper. The race day is May 3rd so the plan is to get to that start line rested and healthy. The month started with me signing up for early bird pricing for this year’s Philadelphia Marathon. This was my first marathon back in 2011 and is essentially my hometown marathon. I have done it every year except last year when I was in Florida at that time. I love the crowds and the course. 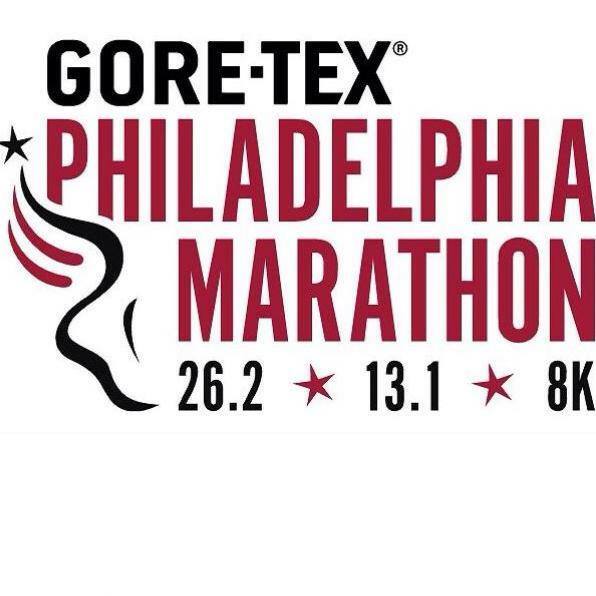 If you haven’t ever run this race (the first have of the course is different from all the other half marathons that Philadelphia hosts and the second has great scenery) I highly recommend looking into it. With only a couple of weeks left until the Pittsburgh Marathon, and two of us in the house training for it, we had to do a bit of juggling to get our final long runs in without interfering with our weekends and our boys’ schedules. I ended up doing my last 20 miler on a weekday before heading to the office. Yup, up at 2:30am and out the door before 3am. Still managed to get the boys to school and be in the office on time. I will confess that I did drink an excessive amount of coffee that afternoon and I slept like a baby that night. Long run done. Bring on the taper. 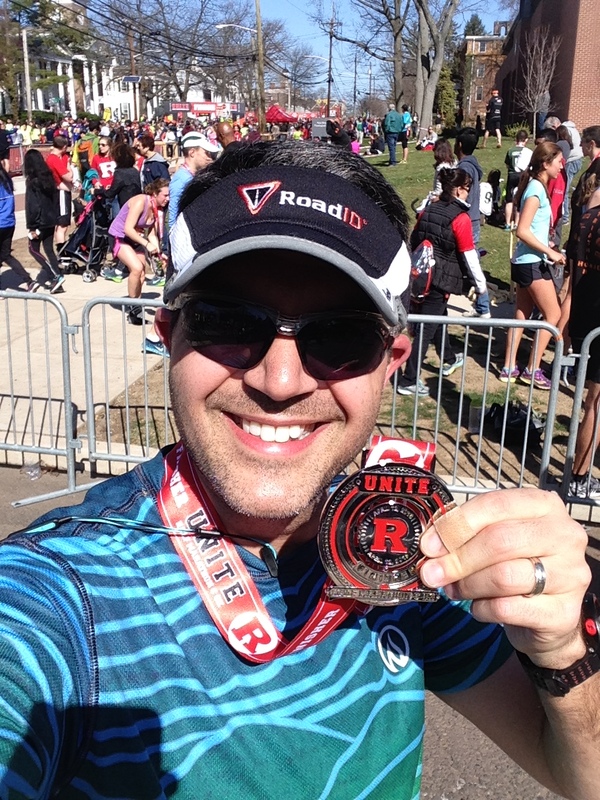 Just a couple of days later I ran the Rutgers UNITE Half Marathon. It was perfect weather for running and my performance was really something I was proud of considering I’m coping with a slight injury. 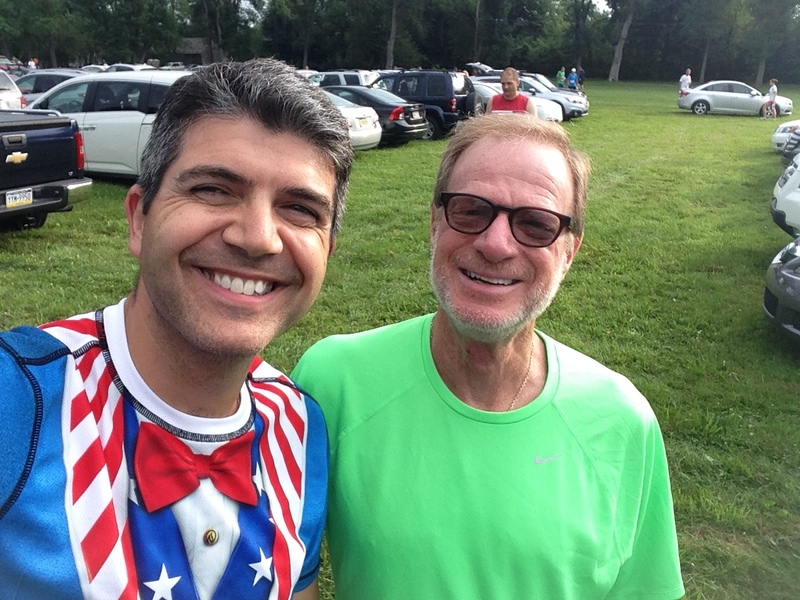 You can read my recap here and listen to the recap with my friend John on his podcast, the ‘Runner of a Certain Age‘. The next day was a time for recovery. After a 20 mile run and then a hard pushed half marathon I took a rest day from training. 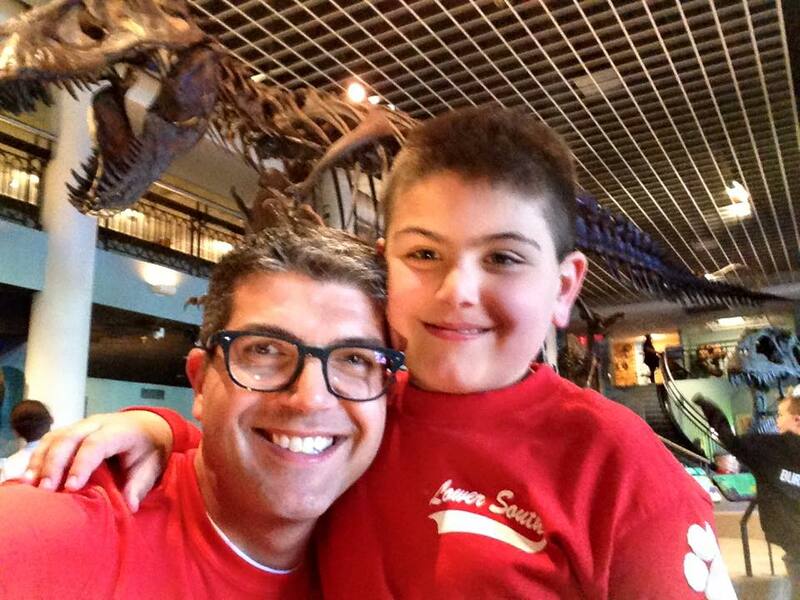 I also took a day off from work to volunteer to chaperone a school field trip for my son’s class to the Academy of Natural Sciences in Philadelphia. So, looking after four 8 years…totally relaxing!!! I had another work trip to Atlanta during the month. The weather wasn’t looking great and it was hot and humid. There was a pretty big storm one day but it picked up in the afternoon and I couldn’t waste the opportunity to go out and run. 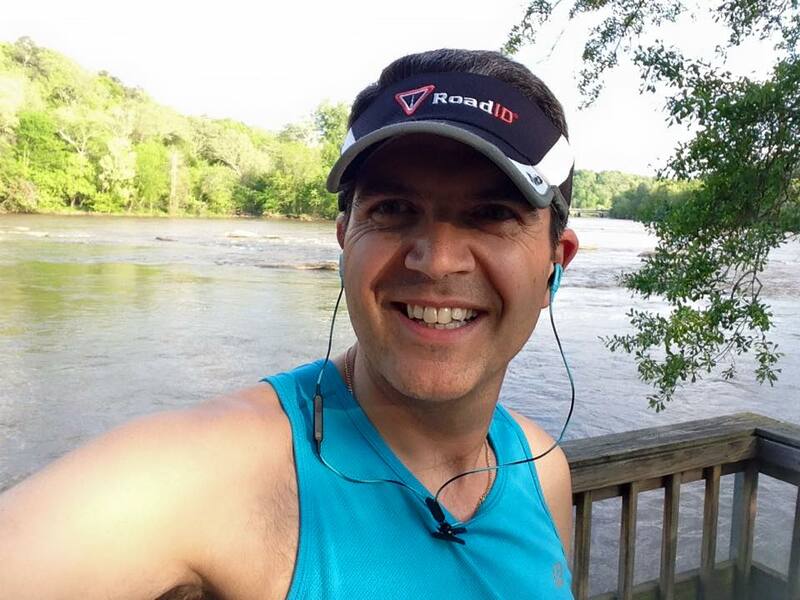 I took a 5 mile run after work along the Chattahoochee River Trail. It was great. A perfect end to a busy day…plus earning a few extra calories never hurt. 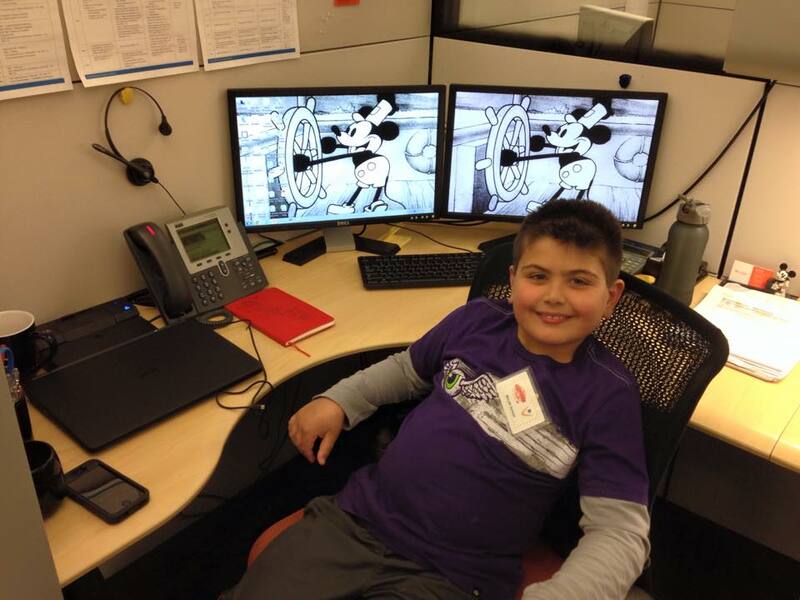 After my little work trip to Atlanta I got the chance to bring my eldest son to work for our ‘Bring Your Kids To Work’ program. He had a great day and I was able to show him around the office. He managed to find a certain picture on display in the buildilng. Looks familiar don’t you think? Towards the end of the month we finally had a free weekend. When I mean a free weekend I mean not totally overloaded. My wife encouraged me to go running in Tyler Park. I hadn’t run there in 10 months so I was really glad to get out in the sunshine. I wore my new INKnBURN ‘Run or Die‘ shirt and it felt cool and fit great. Truly a fun afternoon with no timetable. Perfect. A great end to a busy month. Lots to look forward to in May. WIth the Pittsburgh Marathon at the beginning of the month (we are making a mini-vacation out of the weekend with the boys) and my attempt to run ‘Goofy in a Day‘ for charity, it’s going to be quite an adventure. Again, sorry for the delay in posting but life gets in the way sometimes…in a good way. I’m not complaining. So as you can see from the Nike+ summary I managed to get in 140 miles this month but if you look at the tail end of the month you will see that I actually had a week break. I’m nursing a sore back/pelvis as a result of all the snow shoveling over the winter. I managed to tweak my pelvis out of alignment. Ouch. Time to get my 8 and 4 year olds out to shovel the snow…or move to Florida. I think the move may be easier. 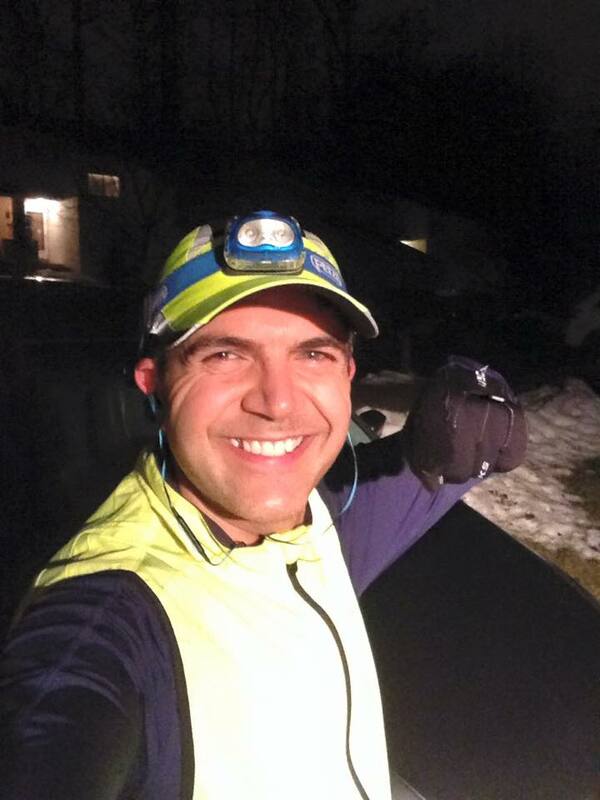 The weather did not deter my training for the upcoming Pittsburgh Marathon however it did take my running indoors for some of the long runs. 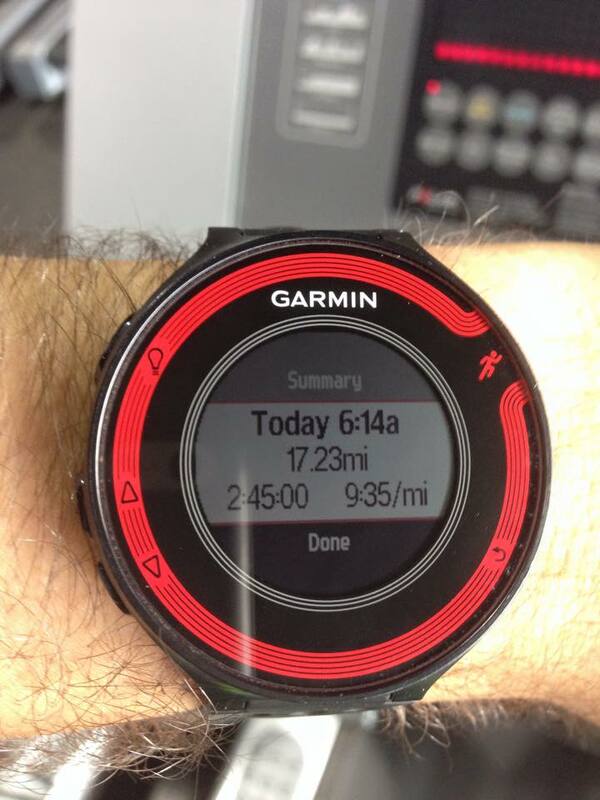 My run from Sunday March 8th. My run from Sunday March 14th. 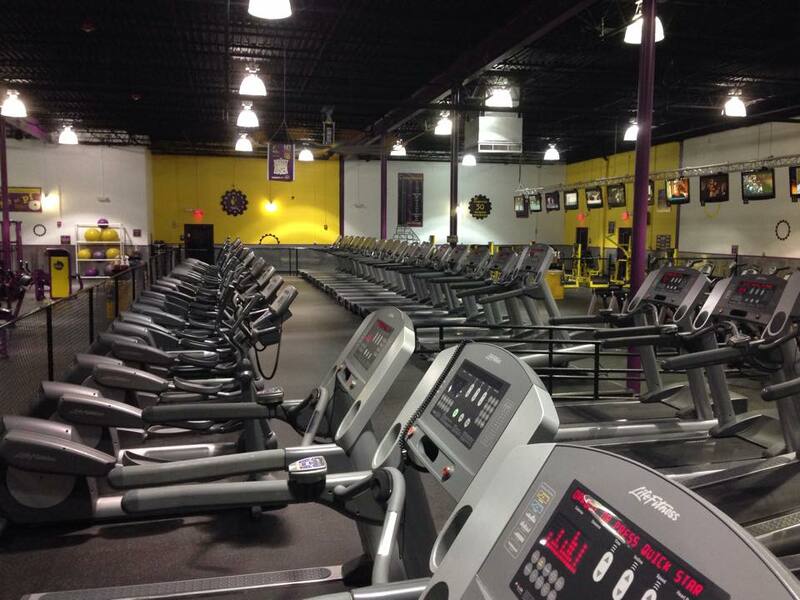 The gym can be a lonely place on a Sunday morning in winter. 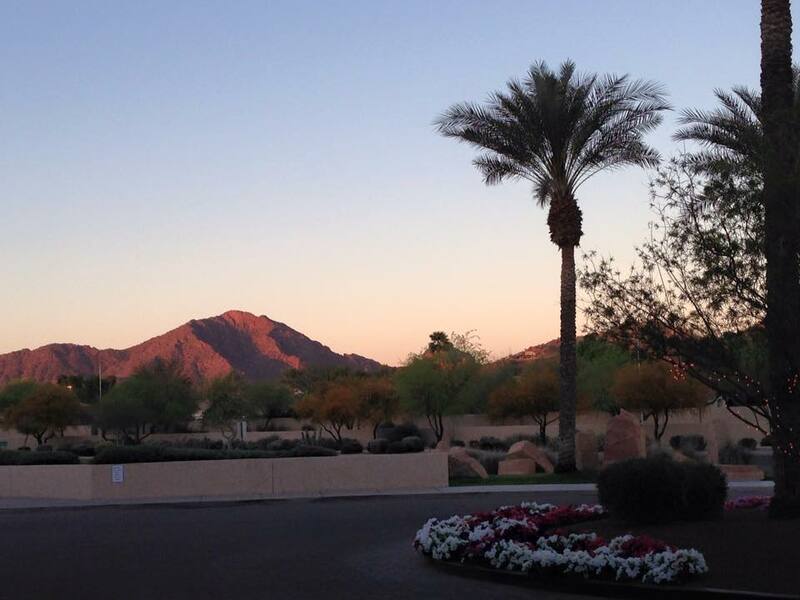 However, shortly after my indoor 20 miler I was lucky enough (well required) to take a trip to Scottsdale, Arizona for work. I went from running in sub 20 degree weather (sub zero with wind chill) to running in the low to mid 60s for a week. It was beautiful and flat. I wore shorts again!!! Yes, my legs saw the sunshine albeit at the end of the run as these were still early morning hours. 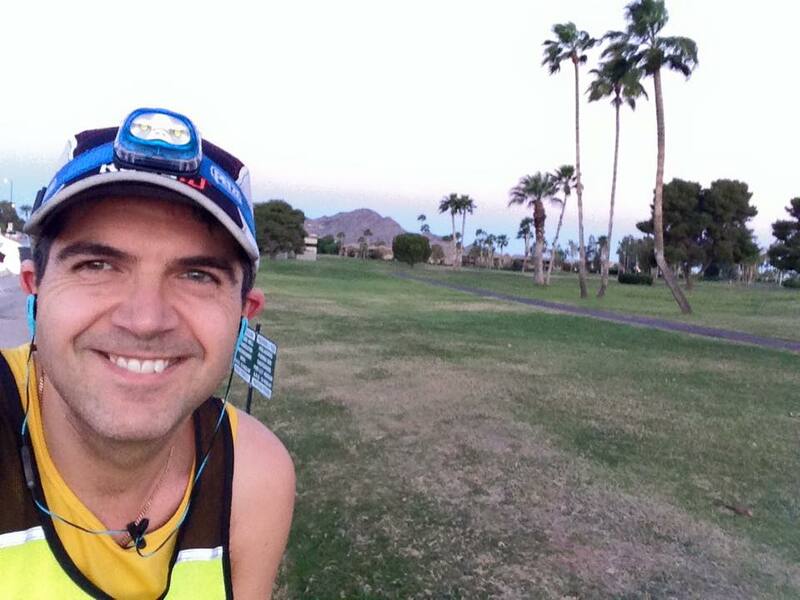 What amazed me about running in Scottsdale was how clear the air was. 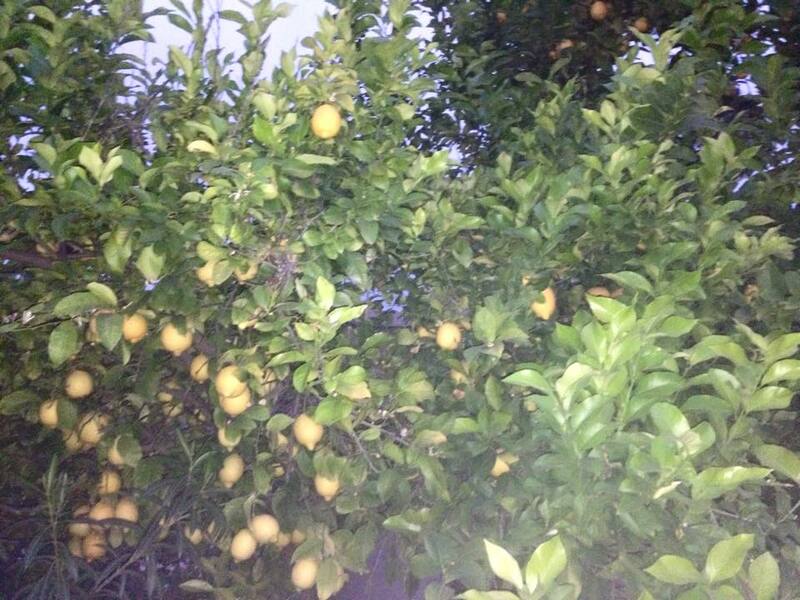 As I was running I could smell the flowers, bushes and other landscape smells (nice smells) as I ran. I don’t think I’ve had much of a chance for that recently. Also it was flat. That helps alot. I’d been on a treadmill for more than a month so it was great to be out there. Mind you, I got a rude awakening when I flew back to Philly. I arrived back to 4 inches of snow…ON THE FIRST DAY OF SPRING!!!! Ugh. My back still hasn’t recovered. Nothing like having to dig your way into your house around midnight. Luckily though that was the end of the snow. It warmed up a bit after that and I was able to run outdoors locally again. During this month as I have been preparing for Pittsburgh I have been trying out some new gear. 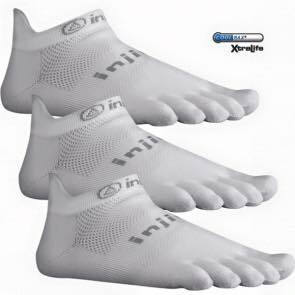 Last year at the Philadelphia Rock n Roll Half Marathon Expo I was recommended to try Injinji toe socks. They look a little weird and are a little tricky to put on but I have always had an issue with my toes rubbing together and usually use some vaseline to prevent blisters. Anyway I thought I’d give these a try and see if they were as good as they were presented. Actually, they are pretty good. I’ve since bought a couple of pairs in various thicknesses to see how they differ but so far so good. I am using them almost exclusively right now. I cannot comment on the longetivity of the product but from a comfort perspective they seem good and from a blister prevention perspective they absolutely hit the spot. I’ve been using the Run 2.0 sock. 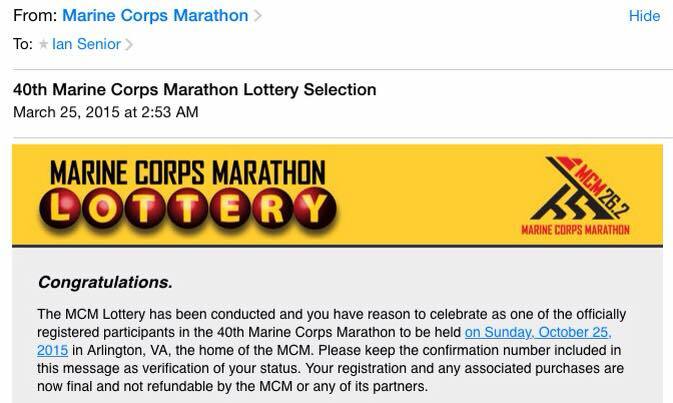 Finally this month I’m happy to share that both my wife and I were successful in the lottery for the 40th Marine Corps Marathon later this year. We are so excited to be able to run this event and especially excited because of the special anniversary year. It is sure to be a great event and memorable to all who run. 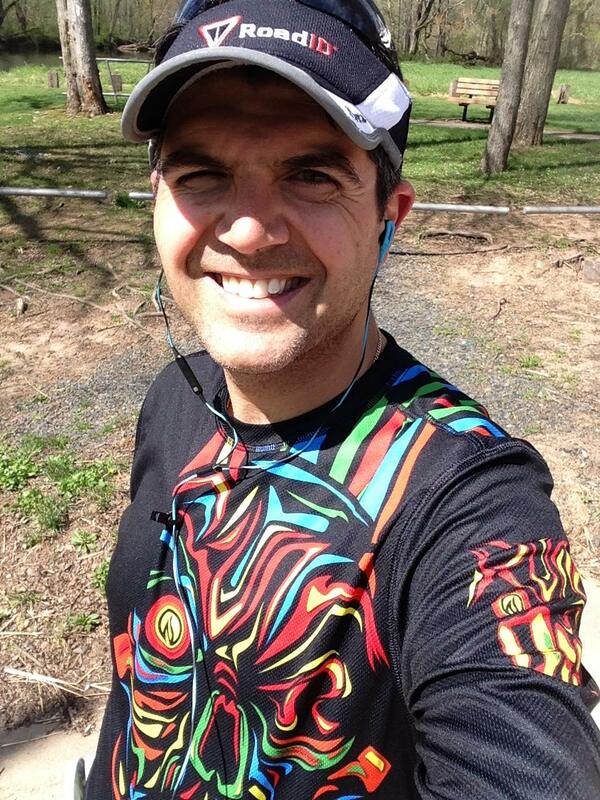 In the coming weeks I have the Rutgers UNITE Half Marathon in Piscataway, NJ. 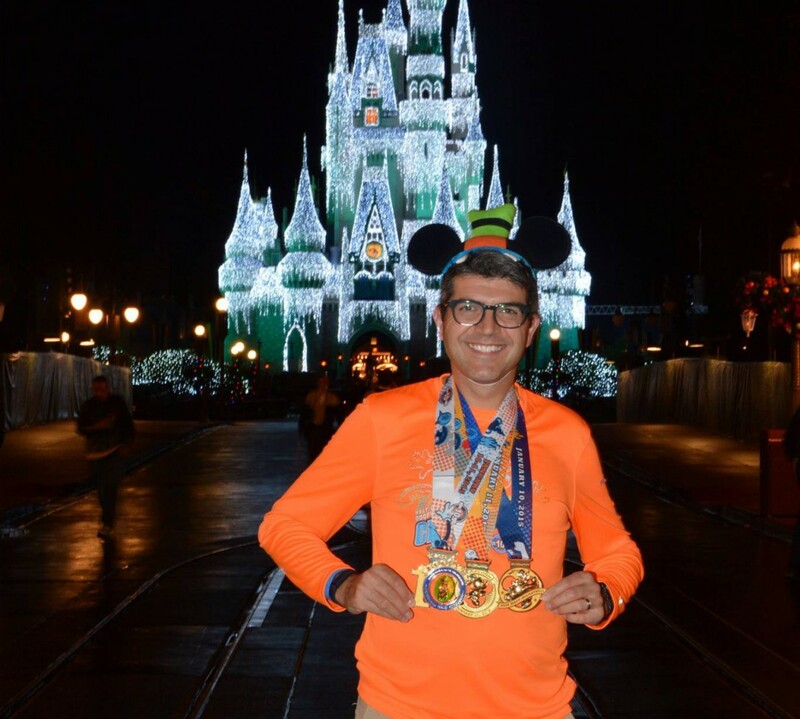 This will be my first event since running the Walt Disney World Marathon Weekend races. It will be fun to get back into race mode. Also, I’ll complete the training and start my taper for the Pittburgh Marathon. 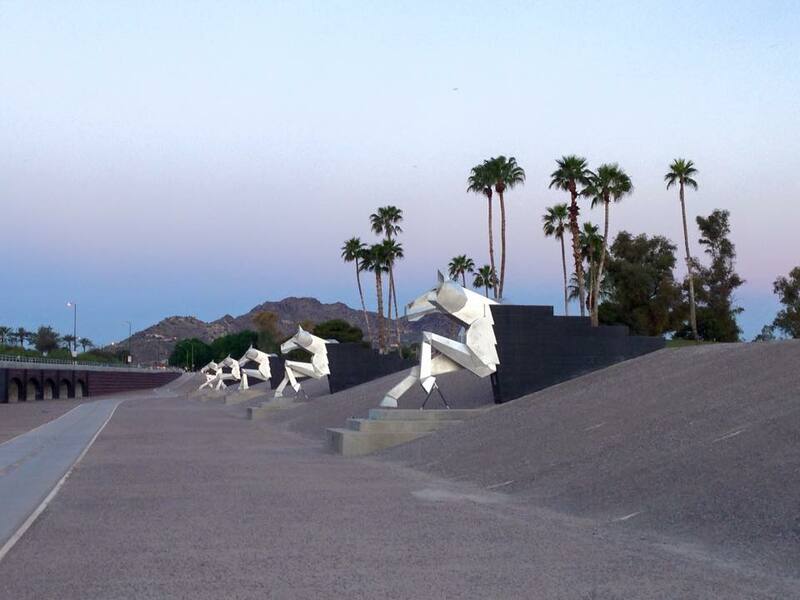 We are looking forward to the marathon weekend and hope we have enough time to take some sights in with our boys. Don’t forget that I’m doing other crazy stuff for a change. 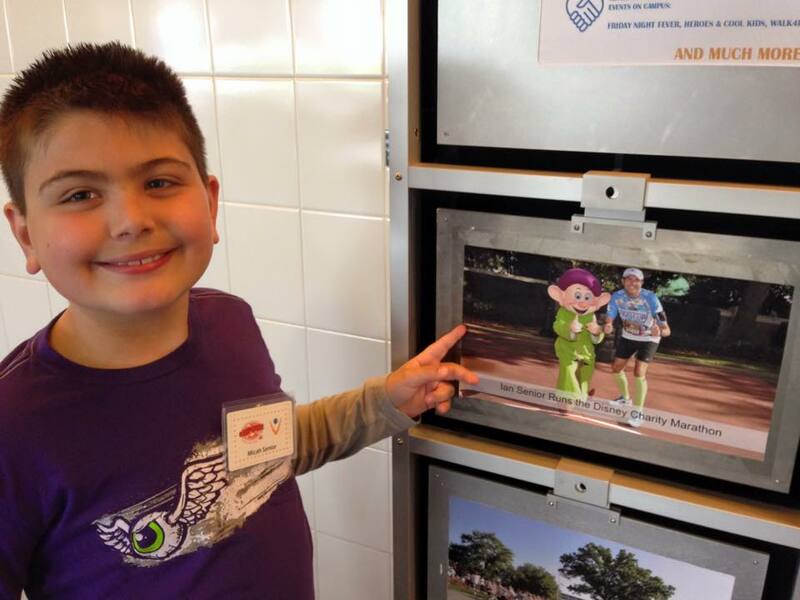 I’m running the ‘Goofy In A Day’ for Give Kids The World a couple of weeks after that. If you feel like you can make a donation that would be really appreciated.